PMUSA provides its employees with opportunities to participate in charity events that help improve the communities in which we do business. Prestige Maintenance USA provides janitorial and facilities maintenance services in hundreds of communities across the nation, and we are dedicated to improving and becoming part of each community where we work. We realize that every business decision we make and every task we complete has an effect on the people who do them and the environment in which they’re done. That’s why we go to great lengths to take care of the people we work with and the communities we work in. We do this in several ways. We also step in to gather supplies and resources when natural disasters and other unexpected events affect the communities where we work. 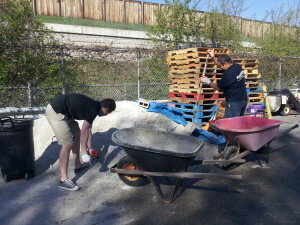 In addition to the charity drives, PMUSA hosts Employee Volunteer Days. On these special days, our employees enjoy the personal reward of offering their time and talents to a good cause — whether it’s repairing a family’s home, providing meals to the less fortunate or preparing school supply packets for children in need of educational supplies.